We wrapped up January and are surging well into February with continued nearshore and offshore action! 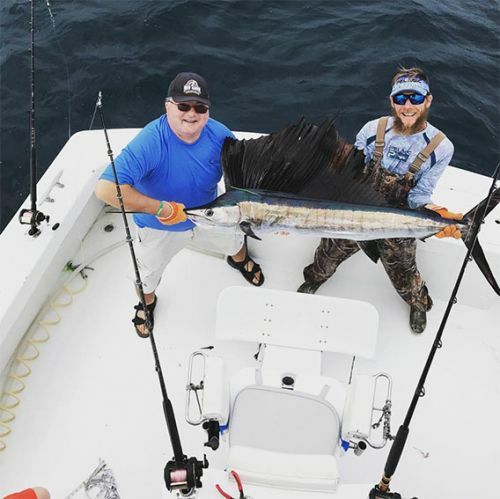 Sportfishing Report: Sailfish Just Keep Coming! The Sailfish continue to show up in droves and are ready to eat nearly every bait that we throw at them! Our clients have been catching and releasing large numbers of Sailfish as our Fleet focuses almost exclusively on fishing live baits underneath our fishing kites. Kite-fishing is a truly amazing and engaging experience as you get to see the Sailfish AS THEY EAT the bait. Nothing gets the blood pumping like watching a double- or triple-header Sailfish bite up on the surface.We can fish up to three (3) live baits per kite, with at least two (2) kites up at any one time. We’re fishing between 90 and 250 feet of water. We’ve also had luck shallower than 90 feet as we watch Sailfish cartwheel in the midst of Ballyhoo schools up on the reef. When there is not enough wind to keep the kites in the air, we can also slow troll live baits such as Ballyhoo and Goggle Eyes as well as troll our specially-crafted mullet strips. 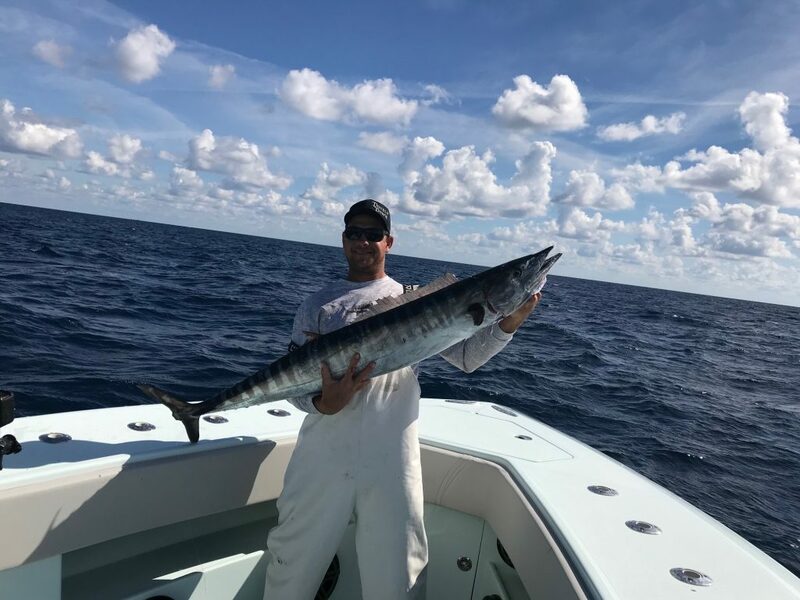 King Mackerel are Challenging Sailfish for Dominance! The Wahoo are Stopping by to Say Hello! The Sharks are Keeping us Busy! 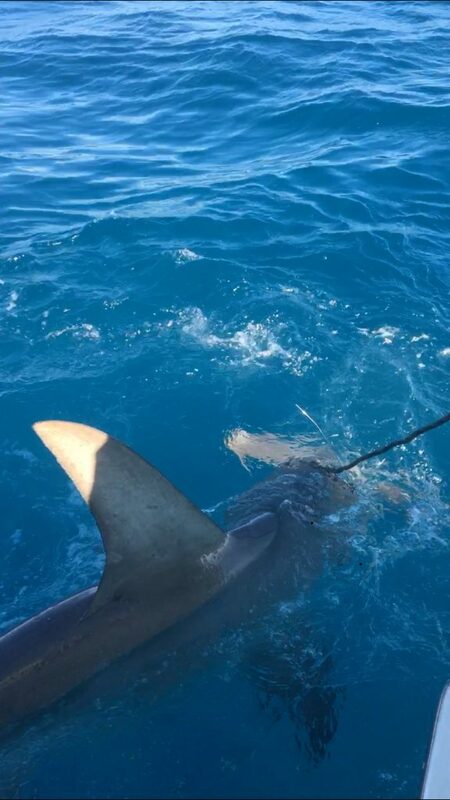 The shark fishing continues to be hot despite the chilly conditions, especially the big Hammerhead Sharks that are still in abundance! Hammerheads are known as sluggers and are not afraid to pop up to eat a bait intended for species such as Sailfish, Kingfish or Amberjacks. Our clients love to tell their friends and family how they battled one of the most recognizable and renowned shark species the world over. As for the rest of our shark fishing trips, we continue to put clients on big sharks, with each trip landing at least one shark, with most trips catching several. Caribbean Reef Sharks, Blacktips and Silky Sharks have been active. The best shark baits continue to be either a live Bonito or dead Bonito or Kingfish dropped down in 300 feet of water. 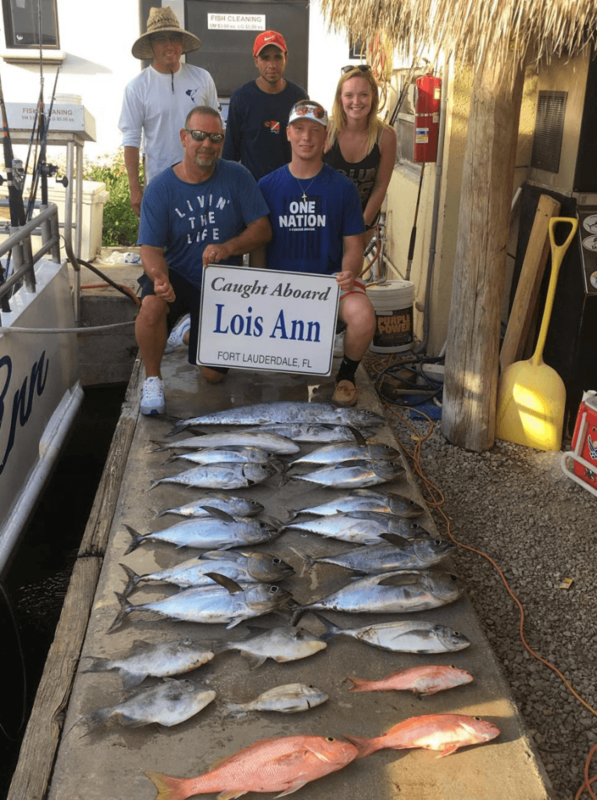 Aboard the Lois Ann, we continue to run three -sometimes four – trips every day and returning with stuffed fish boxes and grinning clients. Throughout January and into February, we’ve been guiding our clients to catches of Yellowtail Snappers, Mangrove Snappers, Mutton Snappers as well as Kingfish and Amberjacks – and we’re doing it in style and comfort! 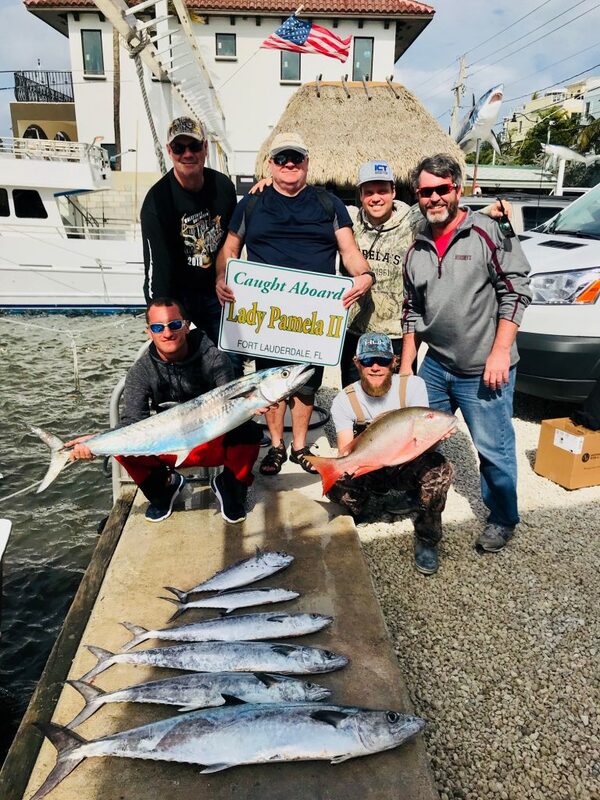 We hope that you’ll join us to take advantage of this amazing offshore bite! Call today!